What is tartan flooring ? Tartan flooring is usually used in running tracks , kids play grounds and outdoor multi purpose sport fields. Made with raw materials such as SBR and EPDM granules. 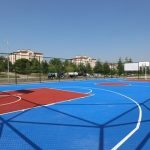 Rubber flooring, which is produced by using raw materials such as SBR and EPDM granules, is a flooring material in black or other colors to be used at sports pitches. Granules are mixed with binder in a hot container and then poured into the mold or ground. We offer various rubber flooring types such as tartan flooring poured on site, rubber floor rolls, rubber tile floors, interlocking rubber parquets. What is the Rubber Flooring Cost? The costs of rubber floors vary depending on many factors. 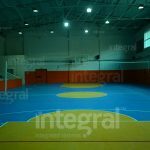 The dimensions of the sports pitch is the first criterion in this issue. Then the cost per m² is determined based on the characteristics of rubber flooring material to be used. We are rubber floor manufacturer from Turkey. Please ask for installation and rubber flooring cost for Middle East and Europe. 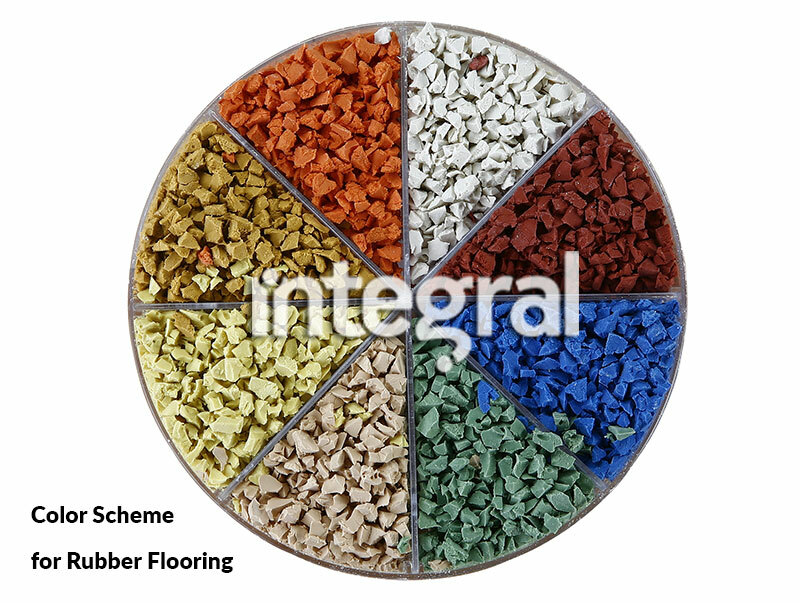 We offer different colours for rubber flooring types. These types of floors made from EPDM granule and SBR granule. SBR is just black. You can chose EPDM colour for your grounds. Get the price of rubber flooring types and installation.